Reb Zalman Schachter-Shalomi, a founder of the Jewish Renewal movement, used to tell a story about the rebbe who insisted that his students should “live with the times.” The students, his Hasidim, were more than a little perturbed by this remark until the rebbe explained. Live in your Torah time, he insisted, in your liturgical time. Follow the rhythms, the teachings, the texts of the Jewish year. You will simultaneously travel with our people’s stories and discover your own. In the past weeks, we began reading story of the Exodus. Just days ago in Jewish time, YHVH revealed the private, particular, special name Moses should use when speaking to his people. YHVH explains its meaning: Ehyeh asher ehyeh: The one who is sends Moses to Egypt. The one who will be, sends him. The one who is becoming sends him. Many Jewish Renewal teachers point out what happens when we try to say the letters of YHVH’s private, mysterious name, with no vowels at all. We are, simply, breathing. Yeh, weh. After creating Adam in Genesis 2, YHVH’s very first act is to breathe life into the human being. Targum Onkelos, an Aramaic translation and interpretation of Torah, tells us that in that moment “man became a living being” (Gen: 2:7). As Menachem Mendel of Vitebsk wrote, “it says [‘and there was in the body of Adam’] the inspiration of a speaking spirit.” Speech, according to the rebbe is equivalent to life. Imagine that YHVH’s very essence is breath – the essence YHVH breathes into us. 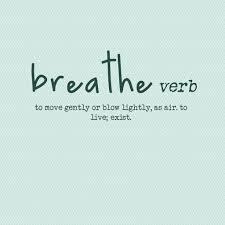 My name is breath, YHVH says to Moses, my name is life. In last week’s portion, Vaera, we read that children of Israel could not hear what Moses had to say. They suffered, the Torah tells us, from a kotzer ruach. Sometimes our translations read: “their spirits were stunted.” Ruach can mean spirit of course. But it can also mean “breath.” The root for kotzer, kuf-tzaddi-reish can suggest “shortening.” In Psalm 102:24 we read that YHVH kitzar yamai – YHVH “shortened my days.” The Israelites were short of breath, the very essence of life. YHVH, who is breath – life itself – sees, hears, understands that the people are short of breath, short of life. No wonder YHVH asks Moses to make sure that these people learn God’s name – it is the name of that which sustains them, that which seems lost to them. How else can they return to life and regain their freedom? Breath is speech, Menachem Mendl writes. YHVH gave Adam a speaking spirit with that first breath. Even more: Our speech, they add, is akin to YHVH’s speech. With it, we can create new heavens and new earth. We can remake our realities, recreate our world. Name that which we must do, which we must change, and we partner with YHVH in creating the world. But when our spirits have been crushed, when we are short of breath and life, it is hard to speak, to find the words that will free us. We are living in such times. There is no need to point out the obvious barrage of speech and the onslaught of action that appears to be sucking the very life out of the world. For a long time I felt I could write nothing in this blog. I was suffering from a kotzer ruach; I felt powerless, distressed, anxiously crushed by a tsunami of cruelty around me in the speech of those who would lead, in the actions of those who do. We must indeed live with the times. Our stories are not only of our people. They are not only of ourselves. They are of the world. And we are, right now, living in mitzrayim, the narrow space where spirits are crushed, where the burden of pain makes it impossible to catch our breath and speak. Our task, as we read, is to make liberation real. For us and all who depend on us. Name them. Find them. Offer them the breath of life through your own speech and action. How else can we cross the water and reach Sinai?